Krause Towing is a family business founded over 20 years ago by Joseph and JoAnn Krause. We have grown from one tug to six with a total horsepower in excess of eighteen thousand horsepower. Our experienced crews specialize in dependable, high-quality service, ready and waiting to meet your ship docking and barge towing needs in the Port of Baltimore. Since 1989 Krause Towing has offered low prices for towing services. No holiday, anchorage, weekend or overtime fees. This has saved our customers thousands of dollars every year. 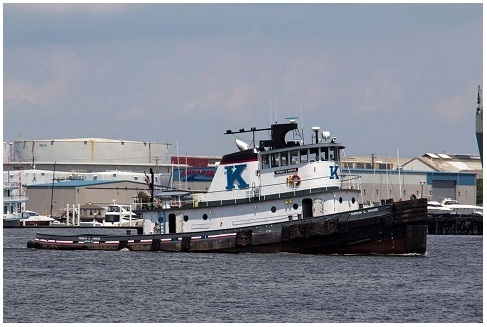 We look forward to serving your marine towing needs in the Port of Baltimore. Please call with any and all questions. We are available 24 hours a day, 7 days a week, 365 days a year. 4142 visitors to this site.